They say that sometimes there is magic in the air. I was surfing through the web looking for a good Turkish fare in Mumbai. I needed something authentic and not simply a deconstruction of North Indian food being passed around as Turkish Kebabs. 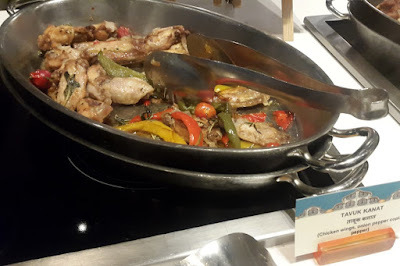 And that is when I heard about the Turkish food festival at Pondichery Cafe in Sofitel. Maybe it was providence that the prize to my quest was found so easily. Sofitel by Accor Hotels provides one of the best experiences in luxury dining. And I have experienced the same at Artisan and Tuskers. Pondichery is the general purpose restaurant area within Sofitel which serves a mix of all cuisines from around the world. So it makes an ideal place to host any kind of food festival. This area had a lot of decor and references symbolizing Turkey. The event's principal sponsor Turkish Airlines is well known for its elan worldwide and it had done its part in providing an authentic Turkish experience. Two young chefs from Turkey had flew in to make sure that the food was authentically Turkish. Chef Emre and Chef Ramazan could not speak English but were fluent in the language of food. 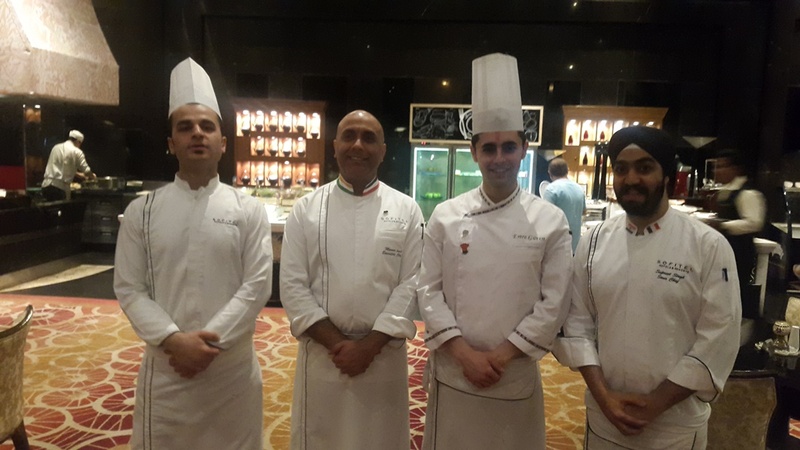 Teamed up with Sofitel's resident Chefs, they provided the guests a great Turkish experience. The only thing that disappointed me is the ephemeral nature of food festivals. The festival will end on the 27th of March, where will I find my Turkish fix then? This was the first day of the festival and I was told that the platter will change every day. Cafe Pondichery is a multi cuisine restaurant meant to cater all patrons of the Hotel. However, anyone interested in the Turkish Food could promptly head over to the Turkish food stations and grab some grub. I started with a bit of Turkish yoghurt, soups and Kuzu Tandir. Kuzu Tandir were delectable Lamb nuggets with a salty and savory flavor. I also picked up a bit of Turkish Sote which was made out of non animal ingredients to suit Vegetarians. Tavuk Kanat reminded me of the delectable Chicken wings which I first had in Dubai. These Turkish chicken wings had the flavors of Central Asia. The flavors felt rather close to Indian Kebabs and these were smaller in size as compared to American wings. Then there were Turkish salads too like the Acili ezme Salatsi, one cannot find this in a place without Turkish chefs. Try Googling that and you won't even find a single English link for it. 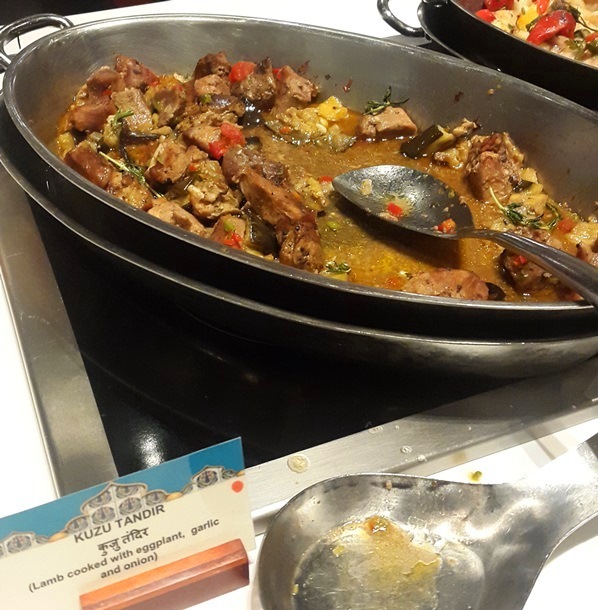 This was specially prepared by the Turkish chefs and this was something one would rarely find outside Turkey. Yayla Corbasi was a delectable Turkish Yogurt soup with a strong flavor of Tahini in it. Then there was the subtle flavored Teryagli Pilav which was far milder in taste than India Pulaos. This rice dish paired well with other Turkish mains. There were two Turkish desserts available at this time. I managed to sample one. 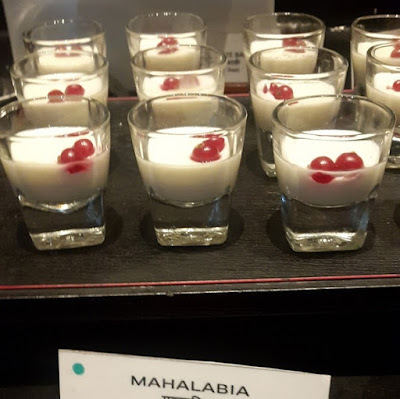 Mahalabia is a smooth and pleasant flavored pudding. The consistency of this was very much like a custard. The flavor felt familiar. I was a bit disappointed that Baklava or Kanafeh weren't available as I was looking forward to both. I felt that there could have been more Turkish desserts but Pondicheri's Dessert section is so huge that one rarely has room for complaints ha. 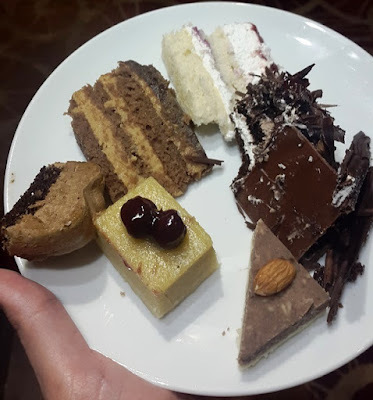 And I filled in my sweet void with a bunch of desserts from the huge platter. Pondicheri definitely has one of the best dessert platters that I have seen within Mumbai's Five star properties. Pictured here(L to R) are Chef Emre, Chef Manav from Sofitel, Chef Ramazan and Chef Singh from Sofitel. The four chefs who made the evening grand. As this was a buffet, this was mostly a self serve affair so I cannot comment on the service. The pricing is high as this is within a five star property. But given the rich buffet with so many choices, its well worth the spend. Turkish food is but a part of the entire buffet. There were also Indian, Chinese, Japanese and Western cuisines to choose from. The entire experience was good and this was definitely one of the better buffet spreads that I have seen. The festival concluded on the 27th of March, 2017 but Pondicheri Cafe is famous for its food festivals and another one could just be around the corner. It still has a great buffet spread and can be visited at any time of the year.